The aim of this Acceptable Use Policy is to ensure that pupils will benefit from learning opportunities offered by the school’s Internet resources in a safe and effective manner. Internet use and access is considered a school resource and privilege. Therefore, if the school’s AUP is not adhered to this privilege will be withdrawn and appropriate sanctions – as outlined in the AUP – will be imposed. The Board of Management will review the AUP regularly. Before signing, the AUP should be read carefully to ensure that the conditions of use are accepted and understood. The Internet and digital media can help our pupils learn, create and communicate in ways that we would never have imagined in our youth. The online world is very much part of their lives, they are “growing up digitally” with technology embedded in every aspect of their lives. Digital literacy skills are key life skills for children and young people today. They need to be media savvy and know how to effectively search for and evaluate online content; know how to protect personal information and reputation; know to respect copyright and intellectual property and know where to get help if problems arise. The Internet is a valuable teaching and learning tool. It can develop children’s independent research skills and promote lifelong learning. The school employs a number of strategies in order to maximise learning opportunities and reduce risks associated with the Internet. The school’s policy is to look for opportunities across the curriculum to reinforce online safety messages. Internet use by children in school will always be supervised by a teacher. Filtering software such as the Schools Broadband Programme will be used in order to minimise the risk of exposure to inappropriate material. The Irish Schools Broadband Programme provides an integrated set of services to schools which includes broadband connectivity and services including content filtering, webhosting, and security services. These services are managed by the NCTE working closely with the Department of Education and Science and are coordinated and supported by the NCTE Service Desk which is the single point of contact for schools for all broadband related issues, providing information, advice and support to schools. The use of memory sticks or other digital storage media in school requires a teacher’s permission. Children are expected to respect computers, hardware, and software and not to intentionally waste limited resources in school such as paper or ink. Students will observe good “netiquette” (etiquette in the internet) at all times and will not undertake any actions that may bring the school into disrepute. Students will use the Internet in school for educational purposes only. In the event of a child accidently accessing inappropriate material or images during a lesson, the student will immediately minimize the page and report the incident to the class teacher without attracting the attention of other students. The teacher should report the incident to the ICT Co-coordinator. Appropriate websites will be shared between teachers. Students should only access apps which have been downloaded by the co-ordinator. New apps will only be downloaded by the co-ordinator. Students should follow teacher’s instructions accessing only the applications to which the teacher has agreed. Students require permission before sending any form of electronic message. Audio or vision taken at school cannot be transmitted, broadcast or transferred without the teachers permission. The camera and audio recording functions may only be used under the teachers’ direction. Identity theft (Pretending to be someone else) is in direct breach of the school’s acceptable use policy. In the event of a child accidently accessing inappropriate material or images during a lesson, the student will immediately minimize the page and report the incident to the class teacher without attracting the attention of other students. iPads must be handled with care at all times. Any damage to the device must be reported immediately to the teacher. Students may use approved email accounts under supervision by or with permission from the class teacher. Children are not allowed to access their own email accounts in school. Students will only have access to chat rooms, discussion forums or other electronic communication forums that have been approved by the school. Pupils will be given the opportunity to publish work on the school website and teachers may publish examples of pupils work on the school Twitter accounts. Digital photographs of individual pupils will not be published on the school website or Twitter accounts. Photographs will focus on groups rather than individuals. Personal pupil’s information (name, address etc) will be omitted from the school web pages. Pupils will continue to own copyright on any work published. The website will be checked regularly to ensure that there is no content that compromises the safety of pupils or staff. Pupils using their own technology in school, such as leaving a mobile phone turned on or using it in class, sending nuisance text messages or the unauthorized taking of images with a mobile phone camera, still or moving is in direct breach of the school’s acceptable use policy. All personal devices are to be turned off during school hours. The Internet is available for Staff for personal and professional use. Personal use of the Internet should not occur during class time. From time to time parents will receive information and advice regarding Internet safety in the home. Some material available on the Internet is unsuitable for children and therefore the guidelines in this policy must be adhered to at all times. Access to the Internet will be withdrawn from pupils who fail to maintain acceptable standards of use. Internet access in school includes a strict filtering service yet no filtering service is completely foolproof. Procedures are in place should a child accidentally access inappropriate material and also should a child deliberately abuse the use of the Internet in school. Intentional misuse of the Internet will result in disciplinary action including written warnings, withdrawal of access privileges, and, in extreme cases, suspension or expulsion. The school also reserves the right to report any illegal activities to the appropriate authorities. All of these sanctions are in line with our schools discipline policy. The AUP Policy for Rathnure NS was reviewed and ratified by the Board of Management in October 2018. It will be reviewed again during school year 2021/22. Please review the schools Acceptable Use Policy then sign and return this permission form only to the class teacher. In relation to the school website and Twitter accounts, I accept that, if the school considers it appropriate, my child’s schoolwork may be chosen for inclusion on the website/Twitter. I understand and accept the terms of the Acceptable Use Policy relating to publishing children’s work on the school website. 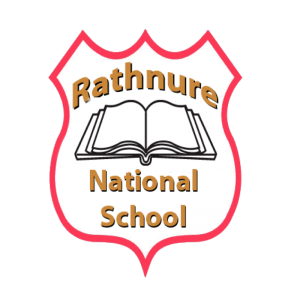 Rathnure National School has an Acceptable Use Policy in place to ensure that all pupils benefit from learning opportunities offered by the school’s Internet and digital media resources in a safe and effective manner. I will only go on websites that have been approved by my teacher. I will not visit an inappropriate site on purpose. If I accidentally access an inappropriate site or image, I will minimise the page and tell the teacher immediately, without attracting the attention of those around me. I will use the Internet and digital media for educational purposes only. I will always use a safe search engine such as image bank on www.scoilnet.ie to look up images. I will refrain from directly copying information from the Internet into my own work. I will always use my own words. I will never download images or words that have nothing to do with my school work. I am fully aware that everything I do on a school computer/laptop is monitored by the school. I will never access my personal email account in school. I will never access chat rooms in school. If I bring a mobile phone to school it will be switched off and in my bag until I leave the school premises. I will never send text messages, emails and comments that are harmful and hurtful to another person. I will never give out my name, address, phone number to anyone online. I will not share personal information about another person online. I will always use my Username and not my real name on websites so that I can protect my identity. I will never arrange to meet in person anyone I meet online. I will not use my phone/I pad to take photos of people without their permission. I will not upload any photos without getting permission. My password is my own and I will not share it- even with my best friend. I will take good care of my iPad. I will never leave the iPad unattended. I will never lend my iPad to others. I will know where my iPad is at all times. I will keep food and drinks away from my iPad since they may cause damage to the device. I will not disassemble any part of my iPad or attempt any repairs. I will use my iPad in ways that are appropriate. I understand that my iPad is subject to inspection at any time without notice. I will only photograph people with their permission. I will only use my iPad as instructed by the teacher and use the right app at the right time. I will never use another person’s iPad to cause offence or damage or upset. I will never share any images or movies of people in a public space on the Internet, unless I am asked to do so by my Teacher.